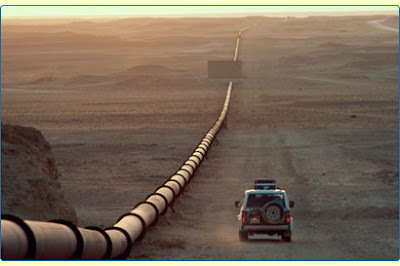 Group News Blog: Iraq Oil Pipeline Blown, Again, Once More, Forever. Iraq Oil Pipeline Blown, Again, Once More, Forever. Unknown attackers have blown up part of an Iraqi pipeline that pumps crude oil from Kirkuk oil fields to the Turkish export terminal, Ceyhan, a senior Iraqi oil official and a shipping agent said Wednesday. The attack took place in the section of the pipeline connecting the oil-rich city of Kirkuk to the Baiji, home to Iraq's largest oil refinery. Iraq usually pumps Kirkuk crude oil to the refinery, 250 kilometers north of Baghdad, which takes what it needs before it pumps the rest to Ceyhan.